Two of the striking slides, for me, are below. 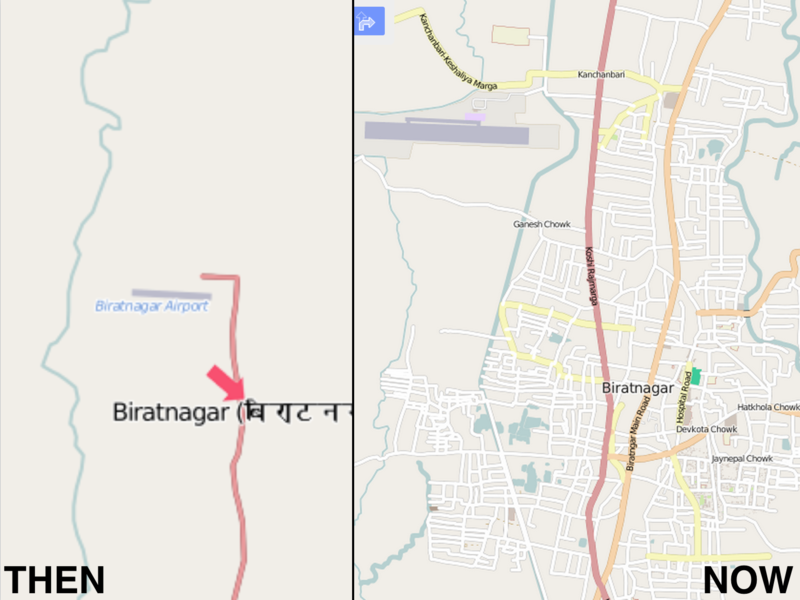 The first one is a comparison of Biratnagar, the third biggest city in Nepal, in July 2011 vs. now. The map was virtually blank in July 2011, while today, you can really use it to get around! Pretty amazing, huh! In June 2011, when the first mapping party in Nepal was held, we had 224 contributors, out of which 25 were Nepali mappers. Today, I would estimate that a vast majority of the 1833 contributors are Nepali mappers. Its been amazing to be a part of this community, and to see so many Nepalis contributing to such an important commons.